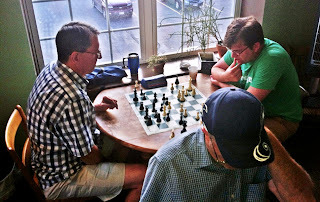 Congratulations to Jason Flanders who won the July 15 G/10 Blitz tournament with a perfect 5-0 score! Due to other commitments, Flanders has been less active on the Wisconsin tournament scene lately but he has found a niche at the ORCA blitz events. Joe Hernandez and Steve Etzel tied for second with a 4-1 score each. 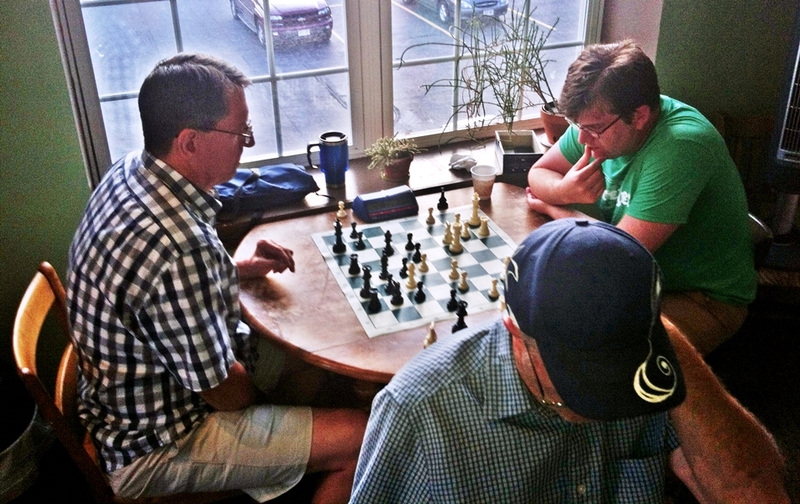 A total of 17 players participated in this free, non-rated event, which was held at the Java Dock cafe in Port Washington. The tireless Tom Hudson once again served as Tournament Director. The ORCA Grand Prix system awards points for both performance and participation. 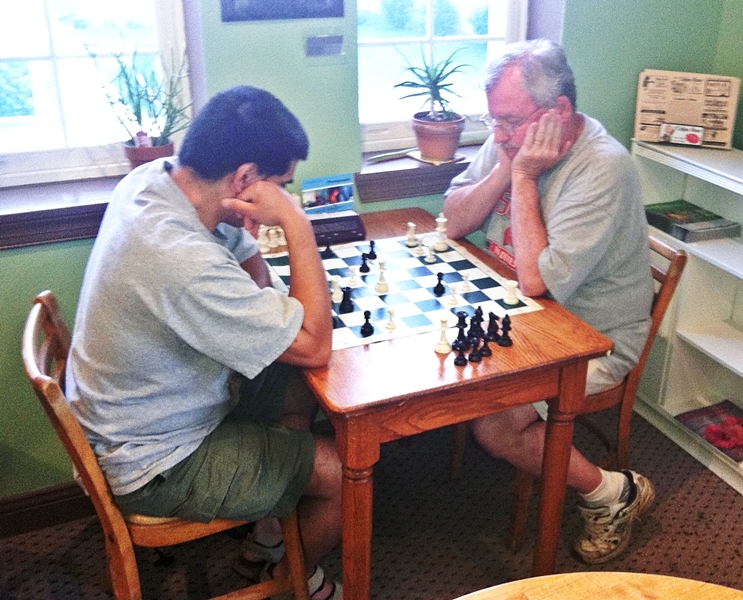 Larry Luib (left) and Al Buschmann in a tense struggle. Jack Pardee (left) awaits Adam Dreuth's reply. Nice hat in foreground. Or subscribe to our email reminders by sending an email to: admin@orcachess.org.